, my backlogs have piled up and I almost gave up upcoming events and invites just to snag some rest. But when I just got a call about the screening of Sandra Bullock's latest movie, I didn't think twice and packed my things and I rushed straight to the cinema to watch it. I know Sandra Bullock will never fail to entertain me. And just as I expected. The movie is a total laugh trip. Mary Horowitz (Sandra Bullock) is a cross word constructor on a local news paper published on their town. She live everyday of her life sketching puzzles and playing with words. Mary is indeed one brilliant and intelligent woman but her dedication on her field just trapped her on her own world making people around her think she is not living a normal life. Especially her parents. This is why they spend the rest of their lives to set Mary on blind dates so that she will finally settle down. Mary obviously didn't like it and tries all her best to miss those dates but one day, a single man changes everything. This is the day Mary meets Steve (Bradley Cooper). And Mary falls in love for the first time. From the producers of Miss Congeniality and 2 Weeks notice comes a Romantic Comedy starring one of my favorite comedienne on Hollywood, Sandra Bullock. Sandra has been doing Romantic Comedies all of her life. But she never fails to entertain and make us laugh our hearts out. The movie is a complete riot, every panel is hilariously funny. Bradley Cooper on the side note has been gracing a lot of films lately including the smash hit comedy "The Hangover" and the upcoming Romantic flick "Valentine's Day" has been tagged as one of the hottest actors this past year. He got that aura that can replace actors like Bradd Pitt, Matt Damon and even Tom Cruise. Not to mention his good acting skills. It is also nice to see Thomas Haden Church doing a comedy after I saw him years ago in Spider-man 3. 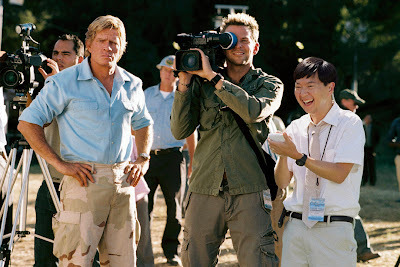 And lastly the breakout Korean-American actor Ken Jeong that also joined Cooper in "The Hangover" is slowly gaining popularity for his portrayal of typical funny and skinny asian characters. On the first part of the film the story seems to be plain and simple. Mary is somebody who is consumed on her work and doesn't have time for relationships but everything changes when she met a guy. But as you progress to the story, a lot of dragging scenes that I think not necessary for the film. Too much filler scenes. And you will become more confused at the end because the focus on the main characters are shifted to the supporting casts. I'm glad the movie is really really funny, because if not I could have left the cinema or just use the cinema's air conditioning facility to take a nap. So will I recommend the film to everyone? Absolutely YES. Its a Sandra Bullock film. It doesn't matter if the story is dragging and confusing because definitely all you need is Sandra doing her thing. And I'm sure you will just see yourself laughing out loud. 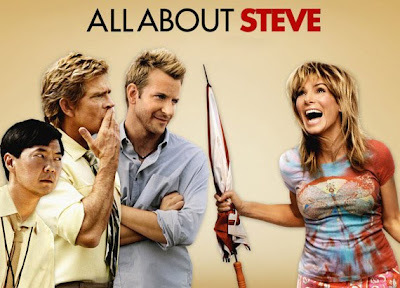 All ABout Steve is directed by Phil Trail and Written by Kim Barker. Opens November 4 in theaters from 20th Century Fox to be distributed by Warner Bros.